Yale’s innovative roots go back to 1844, when Linus Yale designed a lock and key system that revolutionized an entire industry. The Yale company did it again in 1923, when they introduced some of the world’s first forklifts. Today, Yale is a member of the NAACO Materials Handling Group (NMHG), the largest manufacturers of forklifts in the United States. If you’re looking for used forklifts you can rely on, look no further than used Yale Forklifts from ReconditionedForklifts.com. Yale strives not only to meet, but to exceed OSHA safety standards and EPA emissions standards. The company has received numerous accolades for their efforts, including being 1 of only 14 companies in the State of North Carolina recognized for being a “Rising Environmental Steward.” From the factory floor, where their Greenville NC operations won the prestigious “Million-Hour Safety Award”and “Gold Award” from the North Carolina Department of Labor, to the finished product, Yale has proven its commitment to safety. Yale’s commitment to the environment and safety predates mandatory government regulations. 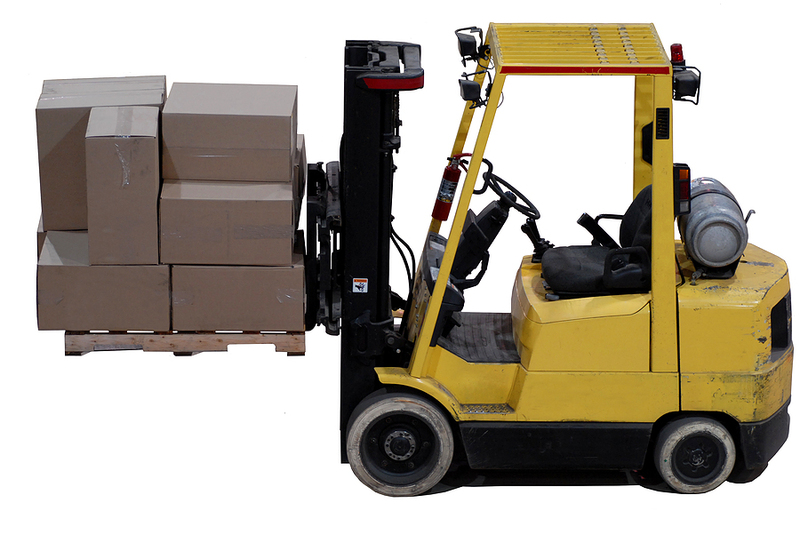 Used Yale forklifts for sale will very likely have safety features built-in that rival those in newer equipment. Even back in the 1920s, when Yale introduced some of the first forklifts to the American market, the company offered a wide range of products. Always an innovative company, they continued to expand their range. Whatever you need, from an electric hand truck to a 36,000 lb diesel workhorse, you can find a Yale that will suit your demands to a tee. At ReconditionedForklifts.com, you can find one of the largest ranges of used Yale Forklifts and other major brands you will find anywhere in the United States. Why? It’s because this is no start-up dot.com, but a division of Barhns Materials Handling Equipment & Supplies. An old and respected name in materials handling, Barhns was founded in 1966 and has an unparalleled reputation in central Illinois, where the company is located. With close to a half century of service to the materials handling industry, Bahrns has the experience, the industry contacts and the know-how to make it a name you can trust. “As is” forklifts have been inspected, but not serviced. An exhaustive list of the product’s defects is provided and the vehicle priced accordingly. Used Yale forklifts with “operational guarantees” are guaranteed to be in working order, but have not been extensively reconditioned. “Reconditioned forklifts” have been serviced and reconditioned by our technicians. Where needed, they include only genuine OEM replacement parts, so you know they are going to last. Learn more about these classifications on our About Reconditioned Forklift Types page. If you have any further questions, please call us at 1-855-742-0159 Monday through Friday between the hours of 8am and 5pm CST; contact our support team via email at support@bahrns.com; or use the handy contact form on our Contact Us page. We look forward to hearing from you soon.